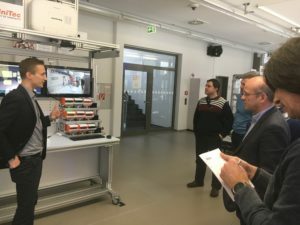 On November 15, 2017, a delegation of FEDIL members (Amova, CEBI, Ceratizit, Goodyear, Guardian Glass, Luxinnovation, Luxspace, Victor Buck Services) visited the SmartFactoryKL in Kaiserslautern. 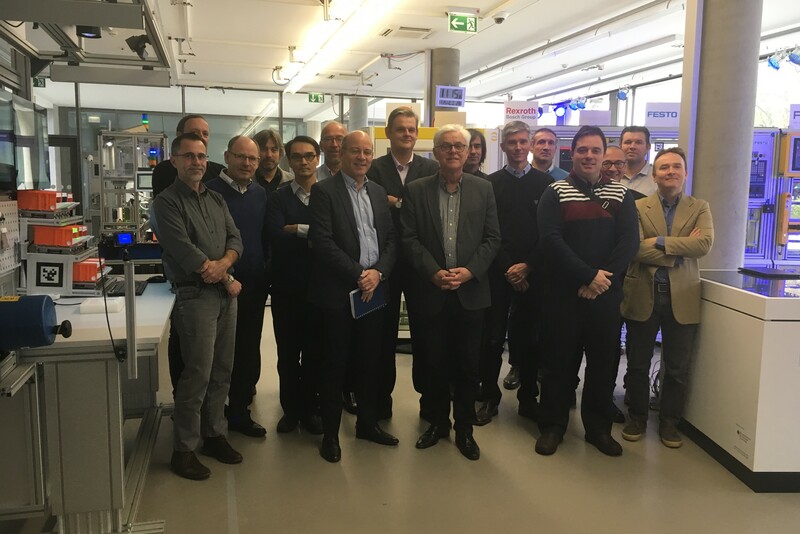 The delegation was welcomed by Prof. Dr. Detlef Zühlke, Chairman of the Executive Board at Technologie-Initiative SmartFactory KL, who gave an introduction into Industrie 4.0 and the digital transformation towards smart factories. 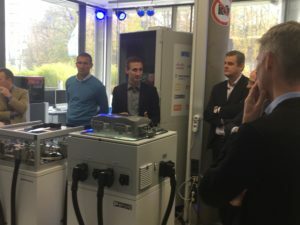 After the presentation the participants visited the ‘SmartFactory’ and got an inside look at the research activities. SmartFactoryKL exhibits the world‘s first manufacturer-independent Industrie 4.0 production plant and shows just how high quality, flexible manufacturing can be efficiently implemented even for a batch size of one – regardless of whether in an existing production operation or a Green Field. Uniform interface standards enable a manufacturer-independent link to the production units, logistic systems, supply infrastructure, and IT systems. Challenging requirements already affecting production such as custom products, shorter innovation cycles, and more efficient on-site production can now be met. A sample product is actually manufactured in the facility: A customized business card holder, where the color, laser engravings, and optional inlays can be ordered online by the customer. The product itself stores all information in a RFID tag and gives guidance to the production modules. The production process proceeds in different ways, depending on the design and availability of the production plant‘s modules. The flexible transport system dynamically connects with the various production cells and manual assembly stations. 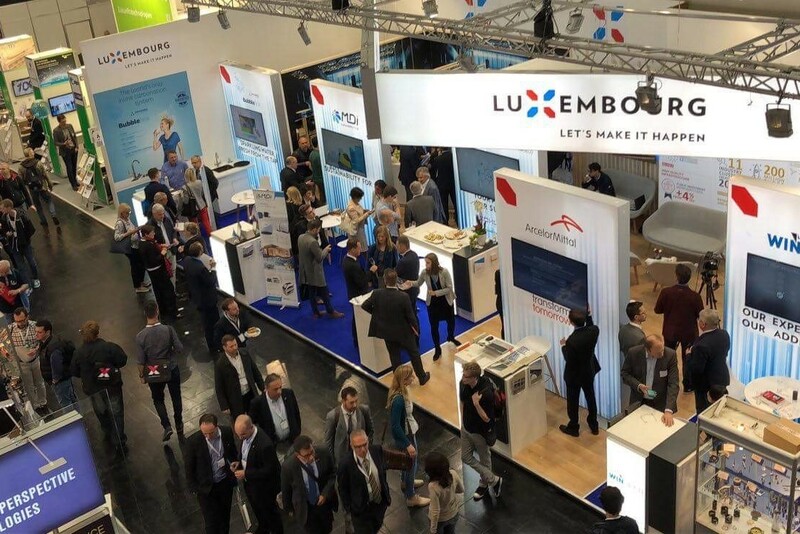 Le 24 avril, la Chambre de Commerce et la FEDIL – The Voice of Luxembourg’s Industry ont organisé une visite accompagnée au salon international de l’industrie ‘Hannover Messe’. Avec quelque 200.000 visiteurs de plus de 70 pays, le plus important salon industriel au monde a éveillé un grand intérêt parmi les industriels luxembourgeois qui se sont rendus nombreux à Hanovre en charter spécial. A cette occasion, la Chambre de Commerce a organisé une journée luxembourgeoise sur son stand, en présence de l’Ambassadeur du Luxembourg en Allemagne, Jean Graff, et du président de la FEDIL, Nicolas Buck. A seminar on Industry 4.0, HPC and Big Data was held at the Luxembourg Chamber of Commerce hosted by the Ministry of the Economy, FEDIL and Luxinnovation on October 19, 2017. 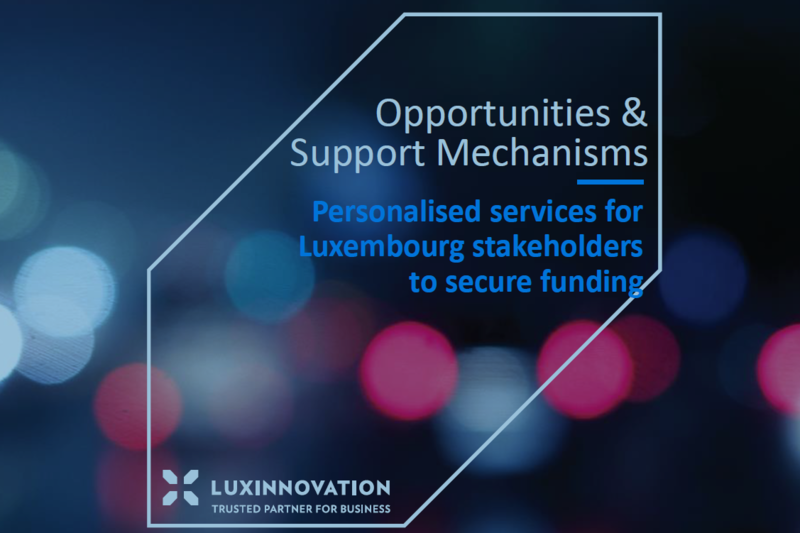 A number of speakers offered valuable insight to Luxembourg companies on the European strategy on Digitising Industry and the funding and support opportunities that are available for Luxembourg’s manufacturing industry. The ball is now in the court of interested companies to make direct contact and find out more. 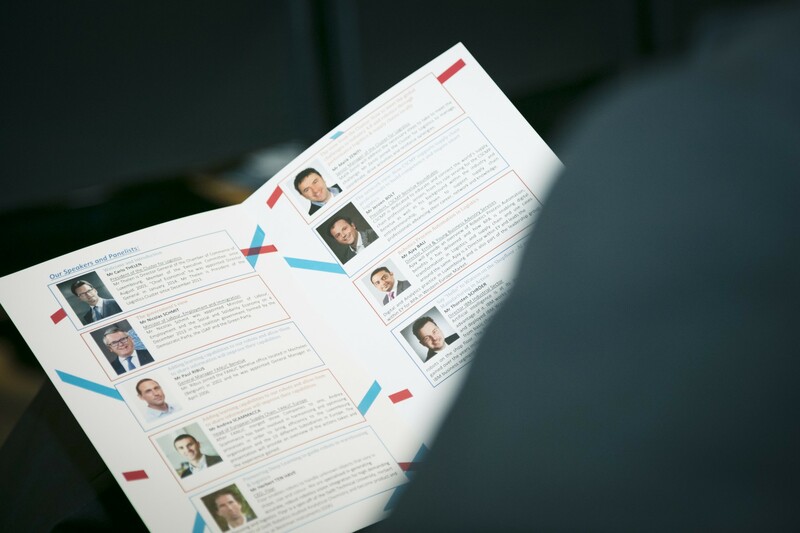 Robotics and Artificial Intelligence (AI) are changing the Logistics Landscape and the Cluster for Logistics Luxembourg (C4L) organised a conference dedicated to the current and upcoming trends. 140 guests from various sectors took part in the conference held on November 21st 2017 at the Chamber of Commerce and were eager to meet a panel of experts.